was commissioned in a remote location of the mine site to impact ongoing operations as little as possible. The lift of these two completely separate buildings is approximately 300,000 lbs and had to be completed by a heavy haul company. They were driven 4.5 miles to a new location on the 5490 bench inside the pit. The delicate process required the mine to be shut down for a week. Due to time constraints on the project, the engineers redesigned the M5/C6 Structure to accommodate a 60’x 12’ E-house on top of it. The whole structure is around 750,000 lbs—which was also picked up and driven 4.5 miles to the 5490 bench level. 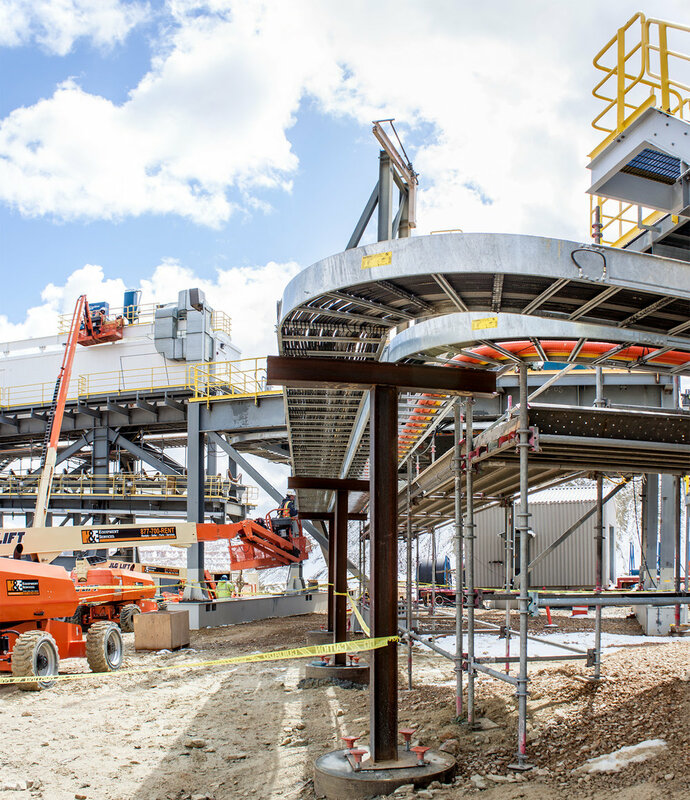 In addition, GSL provided demo for the 2000 ft conveyor and completely removed all of its components in 5 days.